Hudson, Burlington and Hunterdon counties are now in GOP U.S. Senate Primary Candidate Brian Goldberg’s column, Save Jerseyans, giving him a commanding institutional lead with two months to go before primary day. Hudson and Burlington are declaring for the first time; Hunterdon needed a new horse to back after Bob Turkavage failed to qualify for the primary ballot on Monday. 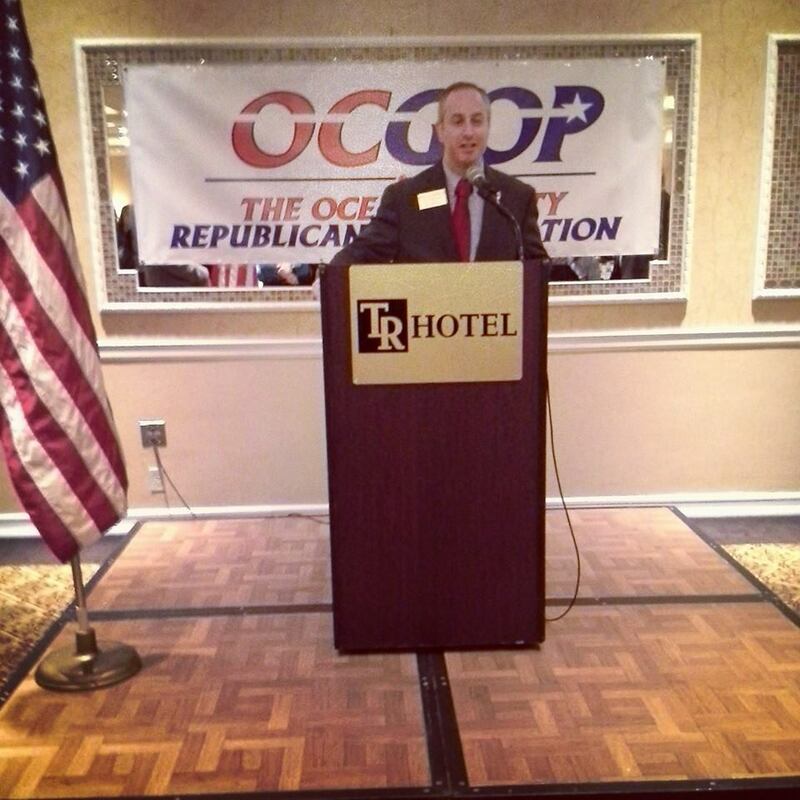 Goldberg’s line total is now 10; he previously earned the support of the official GOP organizations in Ocean, Essex, Atlantic, Mercer, Cumberland, Passaic and Somerset. Monmouth’s Rich Pezzullo claims three lines: Camden, Union, and his home base of Monmouth. Professor Murray Sabrin is the endorsed candidate in Middlesex. 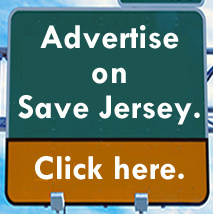 A few key counties (such as Bergen and Cape May) have opted for “open” primaries. Want to know more about Brian? Click here to watch our extensive sit down interview. Funny how the RINO won 5/10-a full half-of his lines without a vote by county convention, and a sixth via a screening win. Take out his support from establishment suits and he has 4 lines-Cumberland, Atlantic, Somerset, and Mercer. He’s hardly a candidate so much as a placeholder, a name the establishment GOP can throw on the ballot so as to not risk beating Cory Booker. I have a friend who’s a higher-up in the Burlington GOP and he said they’ve made no decision on who to endorse. Can you provide a source for this, Mr. Rooney? Rest in peace, NJGOP. We may as well all join the Democrats, considering we’re about to nominate one. “Empowerment Not Entitlement” = more government spending and higher taxes. “Brian Goldberg” = the new face of the GOP: liberal, apologetic, and useless. 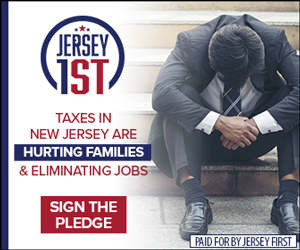 But I still have faith that New Jersey Republicans are smarter than to just vote the party line. 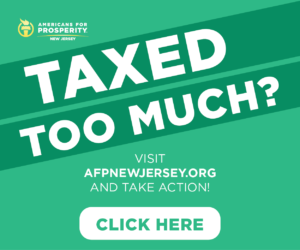 Ocean and Burlington are largely devalued thanks to Steve Lonegan and Jeff Bell’s alliance- if Lonegan beats MacArthur, it’s highly unlikely Goldberg will even win those counties. Otherwise, only 2 of his lines- Passaic and Somerset- are in the top 10 primary-voting counties. Here’s to hoping that someone – ANYONE – of the other 3 candidates can make a run and send this guy back to blue Newark where he belongs. In the end, people will not vote for someone they have not heard of- winning counties in South Jersey won’t help Goldberg, because he has no friends and no infrastructure there. 4 of his counties- Atlantic, Somerset, Ocean, and Burlington- are 2+ hour drives for him. You know he’ll make no attempt to campaign there. Meanwhile, Freehold resident Pezzullo is just a stone’s throw from Ocean County. And try as George Gilmore might, I wouldn’t be surprised to see Pezzullo win there. If you look with the Secretary of State’s Office here- http://www.state.nj.us/state/elections/2014-results/2014-unofficial-primary-candidates-senate-0401.pdf – Mr. Goldberg has not laid claim to 5 of his supposed lines, and the deadline to do so was yesterday. I think Goldberg will face a legal battle he is not prepared to fight if he attempts to take these lines. It bothers me that he has the nerve to post things like “Goldberg wins Hudson County!” when that’s entirely false. “Goldberg was handed Hudson County” or “Goldberg cut a deal to rescind his Conservative principles and thus gained Hudson County” are closer to the truth. Well, it still beats losing everything except online polls, like a certain former Congressman you follow. Mr. “Anonymous”, can you please just use one long comment instead of creating 15 separate ones. Thanks! Also, perhaps less commenting on blogs and more harnessing county support for your candidate might be a better idea. Just a thought. Also, stop crying like a liberal; we’re Republicans. Act like it. Hey Matt-let’s talk about how Goldberg only won 4 conventions, and the chairman of one of those counties is under arrest. So he’s EARNED 3 lines- to Pezzullo’s 2 earned and Sabrin’s 1 earned. Also, how’s Brian doing in rooms outside the establishment? How’s his tea party support coming? How’s he doing with the pro life cro-oh, whoops, forgot he’s cool with the whole infant-murder thing. Other points of note include that you’re a paid campaign staffer of his, and your piss-poor attempt at buying him Facebook likes is as transparent as his poorly thought out platform. Haha, hi Rich, I thought that was you! Rich is out tonight at a tea party meeting tonight I think. Where’s Brian? No, I’m not Rich-I’m a Sabrin supporter, if you must know. But I’m not a moron. I was a Goldberg supporter til I saw him at the NJCR convention. Then, after Goldberg’s speech, I went home, did my homework, and decided I liked Sabrin based on his national Ron Paul support network which will help him win. I wish I could’ve helped him earlier, but that’s life. Goldberg should give it a few years, get some experience, build an infrastructure, then try this. 2014 isn’t his year. But you’d think Goldberg would have something better for his staffers to do than comment on blogs. I’m not a staffer, I’m just a college kid who’s looking for solutions. But I’ll be sure to make it known I was antagonized by a Goldberg staffer just for speaking my mind. Okay, then listen up. We are LOSING!!!!! LOSING!!!! The Presidency, the Senate and our country. It’s going to take new ideas, new blood and a new way of leadership. Goldberg knows exactly what he is doing – he is winning. Focus on that, not the details. The bottom line is we NEED to beat Booker, not squabble like maids at the mart. When Mitt Romney lost, I saw my country bleed. So we as Republicans must be willing to embrace the new face of our country and recruit new members to spread our message, NOT yell our message louder. Goldberg has a marketing plan to increase the amount of Republicans in this state. His competitors have… exactly what I heard 10 years ago, and where has that gotten our beloved Party today? Goldberg is young, fresh has a real message, and a platform. If you want his platform, ask him for it. But he is focusing on beating Booker and making this country better. Not appeasing his competition who is standing in the way. A friend of mine fired 12 employees because of Obamacare, so don’t you lecture me about petty things like Facebook or whatever else. Instead, grab an American flag and let’s march together, as Republicans. Haha, tell your mommy, kid! “Fresh ideas”- what “fresh ideas” does he have? Youth outreach? Obama did it first, just like all his strategies. I’m not saying Goldberg=Obama. I’m saying he has no new ideas, he has a recycled platform and marketing plan which isn’t working. He’s simply a recycled RINO, and having spoken with my friends across the state, people know it. The establishment gave him their support because the other candidates are fairly anti-establishment. But he won’t carry the day. I hope you’ll join the party after someone else wins- I know he’s big on party loyalty. But I put party unity over party loyalty. We can’t just appeal to people who blindly vote GOP, like your buddy Goldberg does. We need to get everyone out there, and Goldberg has doomed himself to an inability to do that by branding himself “establishment.” Cory Booker is not an establishment Democrat, he’s a liberal, and Goldberg doesn’t present a firm alternative. Brian Goldberg is Cory Booker Lite, and people will take an unapologetic liberal over one who tries to con his way in to a GOP nomination through “hope and change”-esque empty promises. What has Goldberg ever done, exactly? Inherit daddy’s company and then act like a hard-working small business owner? At first, I thought all Ron Paul’s supporters are insufferable a-holes. Then my daughter told me it isn’t so. And now, “Andy”, you’re working damn hard to prove her wrong.